The MBA GK Quiz for the current week beginning from 29 April to 05 May will test your awareness on the international days, award and accolades distributed to eminent personalities in the field of sports and other important areas. Milestones achieved in the field of Science and technology and are also covered in the quiz. Take the quiz and test your GK for the upcoming management entrance exams. 1. Name the first Bollywood actor to deliver Ted Talk in Canada? 2. Which of the following is not an area on which the MoU have been signed between Indian and Cyprus? 3. Name the Oscar-winning American film director-producer and screenwriter who passed away recently? 4. Name the district of Maharashtra which is all set to embrace the tag of India's first 'village of books'? 5. Who among the following is the Chief Minister of Maharashtra? 6. What is the name of the broadband connectivity which will be provided jointly by Bharat Sanchar Nigam Limited (BSNL) and Department of Post? 7. 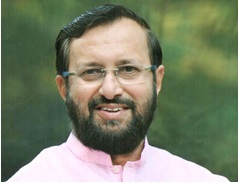 How much is the current share of female representation in IITs from the previous 5 per cent as per HRD minister Prakash Javadekar? 8. Name the RBI policy that states that banks cannot refuse to accept faded notes or those with scribbles? 9. Athlete Mann Kaur has become the oldest person to sky walk. Name the country to which he belongs? 10. Who among the following has won Asian Snooker Championship in Doha? 11. Union Health Ministry has launched ‘the Test and Treat policy’ for providing treatment to patients suffering from Human Immunodeficiency Virus (HIV). Who is the current Union Health Minister? 12. Who among the following is not the UNHCR Goodwill Ambassador? 13. When is ‘International Labour Day' celebrated globally? 14. What is the other name of labour day in Tamil language? 15. Which Indian personality has been selected for Japan’s prestigious ‘Order of the Rising Sun’ award? 16. Which Financial service has received the final license from RBI for Small Finance Bank? 17. Who has been appointed as the Controller General of Accounts? 18. Who among the following are the winners of the Tallahassee Challenger Men’s Doubles title? 19. Which football club has recently won the I-League title? 20. Whose name has been recommended by BCCI for Arjuna Award in May 2017? 21. When was Ganga Swachhta Sankalp Divas observed? 22. Which Indian actress will be attending UNICEF’s fundraising event in South Africa? 23. Which ministry is observing Swachhta Pakhwada throughout India? 24. Which Indian football player was awarded the Hero of I-League 2016-17 Award? 25. 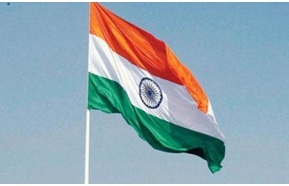 In which city India’s second tallest flag pole was inaugurated? 26. Chief Minister of which state has said that police public schools will be set up in all subdivisions to provide best education facilities to the children of police personnel in the state? 27. From which place BrahMos cruise missile was successfully test-fired? 28. When is World Tuna Day (WTD) observed by the United Nations (UN)? 29. Name the Union Minister who inaugurated ‘The Highway Saga’ and ‘SRISHTI’ roadways exhibitions in New Delhi? 30. Which renowned physicist has warned that humans will need to leave Earth and colonise another planet within the next 100 years? You can also download our free PDF for the month of MAY 2017 to practise the general awareness questions that are asked in management exams such as IIFT, XAT, CMAT, MAT, NMAT, SNAP and many more exams. All you need to do is click on the link provided below and download our free eBook.